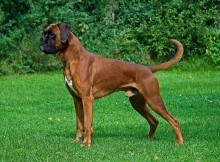 Guard dogs are also often referred to as watch dogs or attack dogs. 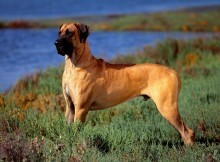 They are for the most part used to guard or stand watch, and bark loudly to alert their owners. Guard dogs can also watch over livestock and drive away predator animals such as wolves. There are some guard dog breeds which are only suited for watching due to their small nature and limited fighting ability: they will typically only bark and try to scare a person or animal away, while larger guard dogs can also attack. 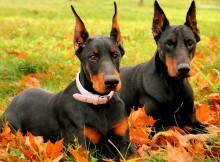 Most popular breeds for guard dogs are Rottweiler, German Shepherd, Doberman and German Spitz.